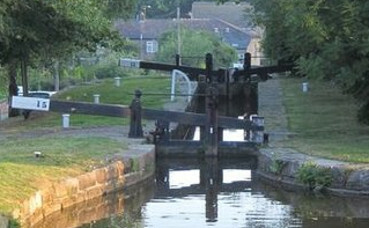 THE Canal & River Trust have confirmed that Marple Flight on the Peak Forest Canal will not be open in time for Easter. It was during September last year when Lock 15 on the Marple Flight failed, with CaRT, stating that it would be repaired and open, but with restrictions on the 29th of September, Keith Gudgin tells us. But a more detailed examination discovered that there had been subsidence, with the width of the lock being narrowed so it remained closed. Then came the news that it was going to be a 'significant and complex' project, and that CaRT needed to work with its contractors to get the repair done quickly at a reasonable cost, so no definite re-opening date could be given. All we then heard was that work should be able to start before Christmas—in three months. Being told that the lock is Grade II listed, in a conservation area and in a confined location making access difficult and that the designs to repair the wall are sympathetic to the area and heritage. It was the end of January that we were then informed that 'great progress was being made on site and works are moving forward in all the areas that we have planned'. Last week we were informed that CaRT had suffered issues while removing the stone from the towpath side lock chamber wall during the dismantling phase. Some of the stonework has started splitting and crumbling in parts and unfortunately, would be unable to reuse it as expected, but was working with its heritage advisor and had managed to source new replacement stone from a local quarry. But the necessity to have new stones had delayed the reopening, so Marple Flight will not be open in time for Easter, with the latest date being the 4th May.